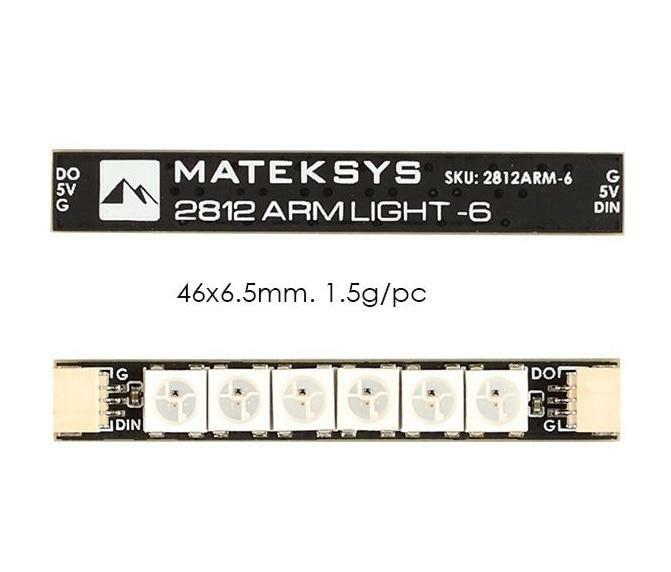 This is a pack of 4x LED strips, each LED strip consists of 6 addressable RGB LED. 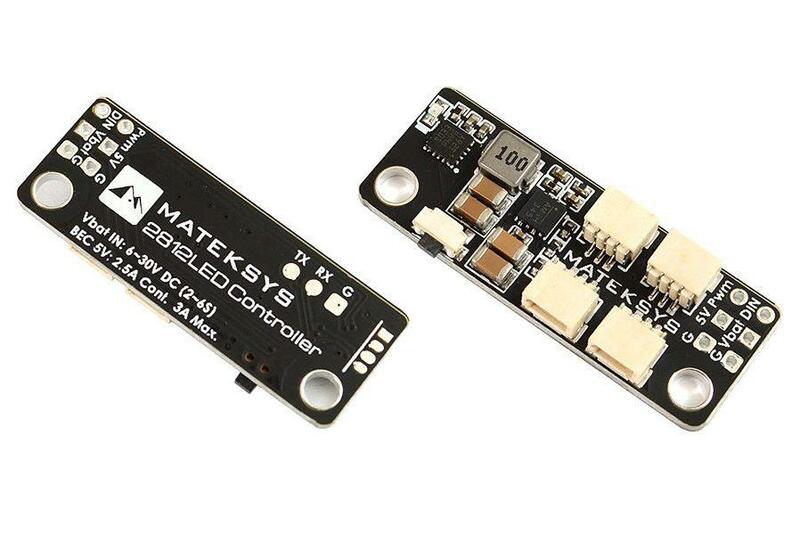 This strip is designed to work with the Matek 2812 LED controller board, but is also compatible directly with a betaflight flight controller. 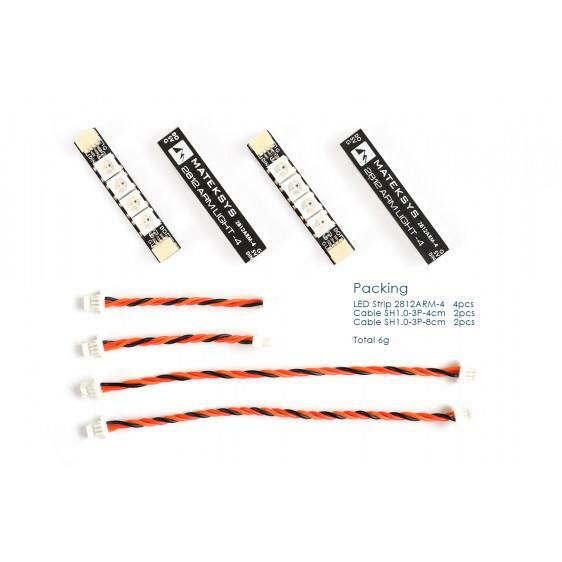 In each kit you receive 4x LED strip bars (with 6 LED's each), 2x 4cm wires, and 2x 8cm connector wires.